From something called "The Advocate", by a lesbian reporter suffering from TDS. If Richard Grenell, Donald Trump’s choice to become U.S. ambassador to Germany, were confirmed by the Senate, he’d become the administration’s first openly gay appointee to any post, but during confirmation hearings earlier this week Sen. Chris Murphy, (D-Conn.) took Grenell to task over a series of nasty tweets insulting women like Rachel Maddow’s and Hillary Clinton’s appearances. Grenell, a longtime Republican activist, was the longest-serving U.S. spokesman at the United Nations, serving from 2001 to 2008, under four U.N. ambassadors in the George W. Bush administration. He also had a two-week stint as national security spokesman for Republican Mitt Romney’s presidential campaign in 2012, but he has said he left because talk of his sexuality overshadowed his work with foreign policy. But like the man who nominated him for the post of Ambassador to Germany, Grenell has an ugly history on Twitter in which he’s used the platform to insult women. 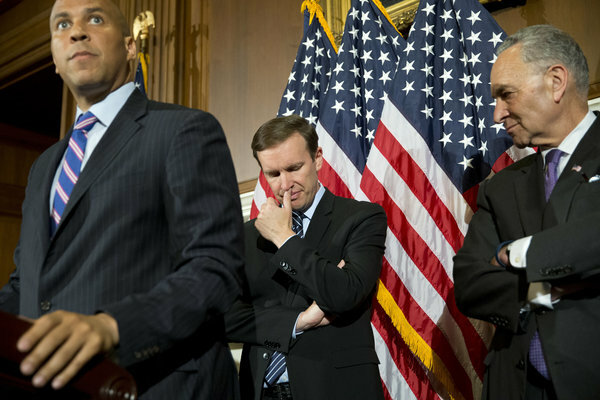 In questioning Grenell, Murphy called out the “litany of derogatory comments about women’s personal appearances” as “very inflammatory things” the nominee has said, according to The Washington Blade. And when Murphy asked Grenell if he had regrets about skewering women online, he said it was “never my intention to hurt anyone’s feelings.” He added that he was trying to be funny and that perhaps the humor didn't go over well. Murphy refrained from repeating the insults Grenell had hurled at women but according to The Washington Blade they consisted of a couple internalized homophobic/misogynist insults aimed at Rachel Maddow in which he wrote, she “needs to take a breath and put on a necklace.” He also said she looked like Justin Bieber in another tweet. Other women he insulted included Calista Gingrich, who he accused of having hair that she “snaps on.” Finally, he insulted two women with one tweet. “Hillary is starting to look like Madeleine Albright,” he once tweeted. It's no wonder that Murphy "refrained from repeating the insults Grinell has hurled at women". Anyone except this idiot reporter would be embarrassed to claim that poking fun at someone's hairdo could be interpreted as "internalized homophobic/misogynist insults" (ponder that phrase, for a moment), serous enough to disqualify him from serving as an ambassador.